When I think "pork shoulder" I first think of pulled barbecue pork. 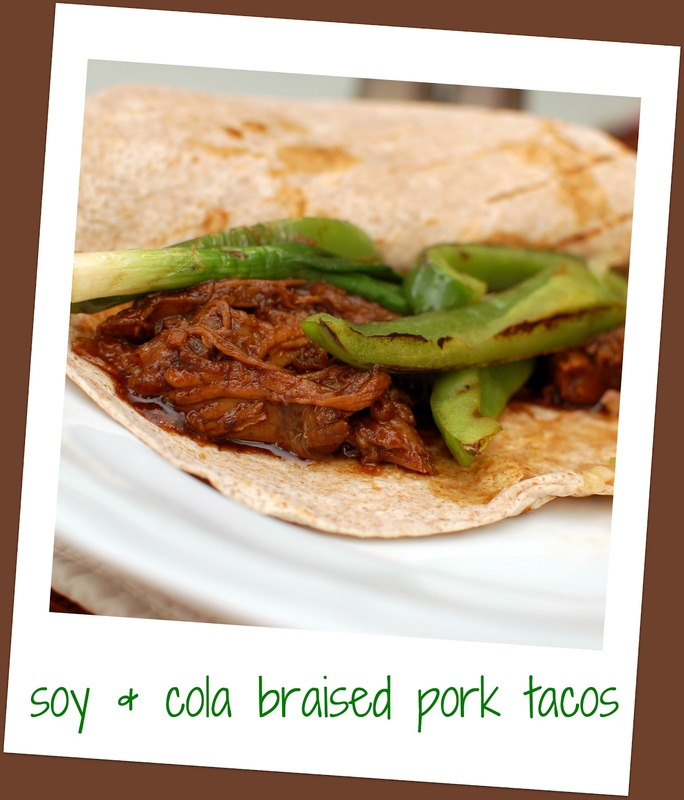 I'm going to try and change that, for you and for me, and think "soy and cola braised pork tacos" instead. This recipe was a winner and my new favorite way to use a pork shoulder. After the last pork shoulder we cooked had a far too "piggy" smell we drove over to Whole Foods and splurged on a local bone-in hormone-free pork shoulder. We spent I think $20 for it but I'm going to justify the cost because we had company over and it easily fed all of us and then we had leftovers for a few days as well. Although you probably could cook this in the slow cooker I didn't and probably won't next time either. The dutch oven retains the heat so well and it seemed to braise perfectly in there. That said, when it's 90 and humid, I probably will turn to the slow cooker. Instead of tacos you could also make sandwiches and top each with shaved cucumber and carrots. Those flavors add a nice hit of freshness to the braised meat. Preheat your oven to 300 then heat your dutch oven over medium-high heat. Add oil, season pork with salt, then add it to the hot pot. Saute for about 8-10 minutes, browning each side. Remove the pork and then add the ginger and garlic. Wait a minute and then add the cola, hoisin sauce, vinegar, and soy sauce. Bring to a boil. 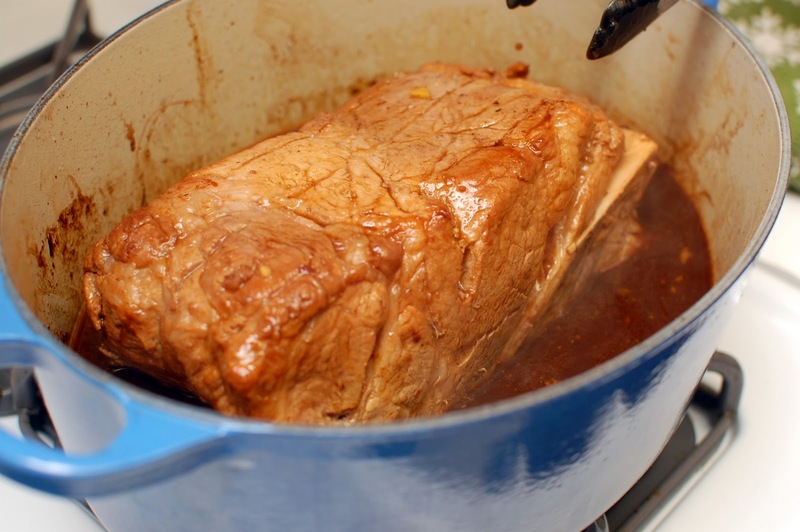 Return the pork to the sauce, cover, and bake for 1 hour and 50 minutes until tender, turning every 30 minutes or so. Remove the pork and let it stand for about 10 minutes then shred the pork. Skim any fat from the sauce. Return the sauce to a boil and cook for 15 minutes until it's reduced to about 2 cups, stirring often. Return the pork to the sauce and toss to coat then serve in your warmed tortillas and top with grilled green onions.